Benmore with its magnificent mountainside setting is a joy to behold. Its 49 hectares (120 acres) boast a world-famous collection of flowering trees and shrubs. This includes over 300 species of rhododendron, over one third of the world’s hardy conifer species and fine collections from North and South America, the Orient and the Himalaya. Visitors are welcomed by an impressive avenue of Giant Redwoods, arguably one of the finest entrances to any botanic garden in the world. Established in 1863, these majestic giants now stand over 50 metres high. The Garden is glorious throughout the seasons – from the vibrant blooms of rhododendrons and azaleas in early spring, striking eucryphias of late summer and breath-taking displays of rich autumn fruit and foliage. 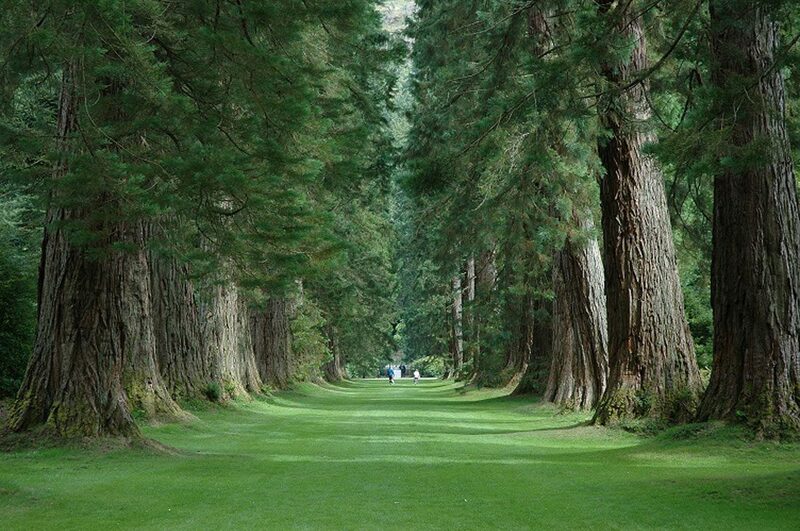 Benmore Botanic Garden is the first garden in Scotland to join Silent Space – encouraging visitors to sit for a while, take in the views and listen to nature in our two Silent Spaces. The first is situated in a secluded spot among a hillside collection of Species Rhododendrons with magnificent views across the garden and Strath Eachaig to the mountains in the east. The other is in the Golden Gates Arboretum among many giant conifers including Giant Redwoods, Douglas Fir and Scots Pine. We are delighted to be part of this project and hope that many of our visitors and other Scottish gardens will embrace Silent Space.